One anonymous gambler is extremely confident in Floyd Mayweather Jr.
That person placed a total of $880,000 on Mayweather to beat Conor McGregor on Friday at the South Point Hotel, Casino & Spa in Las Vegas. According to Vegas Stats & Information, that is believed to be the largest wager placed on Mayweather since their fight was officially announced June 14. If the heavily favored Mayweather wins, those wagers – which were placed as two $440,000 bets – would bring back a return of just $160,000. Most money has been bet on McGregor in advance of their 12-round, 154-pound boxing match August 26 at T-Mobile Arena in Las Vegas. Mayweather was a 10-1 favorite when their fight was announced two months ago, but those odds are down to 5½-1 because so much money has been bet on the underdog. According to a ESPN.com story posted Saturday morning, an assistant manager at the MGM Grand sports book said that for every Mayweather bet booked there, 27 wagers have been made on McGregor. Bookmakers in Las Vegas hope Friday’s huge wager on Mayweather starts a trend as the fight nears. ESPN.com also reported that the William Hill Race & Sports Book’s liability on McGregor already has exceeded $1 million because 95 percent of the bets placed there on the fight have been made on Ireland’s McGregor. 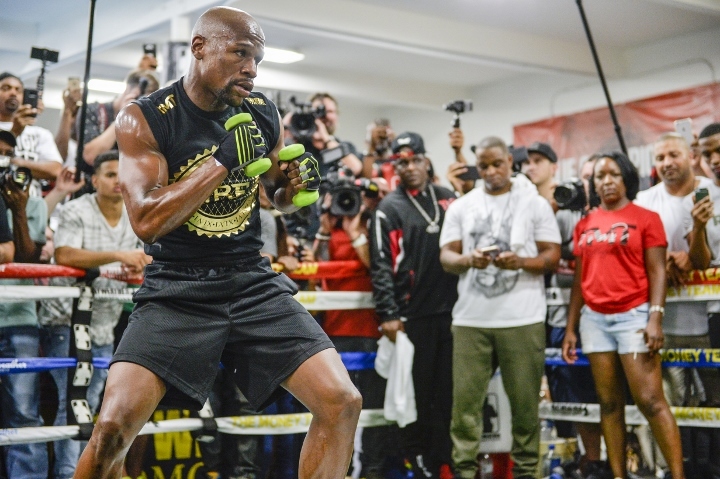 The 40-year-old Mayweather (49-0, 26 KOs) has come out of retirement following nearly a two-year layoff. He is still a heavy favorite because the undefeated five-division champion is generally regarded as the best boxer of this generation, whereas McGregor will make his professional boxing debut in their highly anticipated fight. McGregor is 11 years younger than Mayweather, though. He’s also a powerful puncher who many mixed martial arts fans are certain can pull off what would be considered a major upset. [QUOTE=spn1025;17944694]absolute worst case scenario... what happens if the fight gets ruled a no-contest? lol[/QUOTE] All bets become void. Floyd bet on himself? or was it Dana White lol? The one thing that did change from the Paulie drama was the odds are now better for people wanting to bet the under since Paulie and Conor supposedly went a lot of rounds.